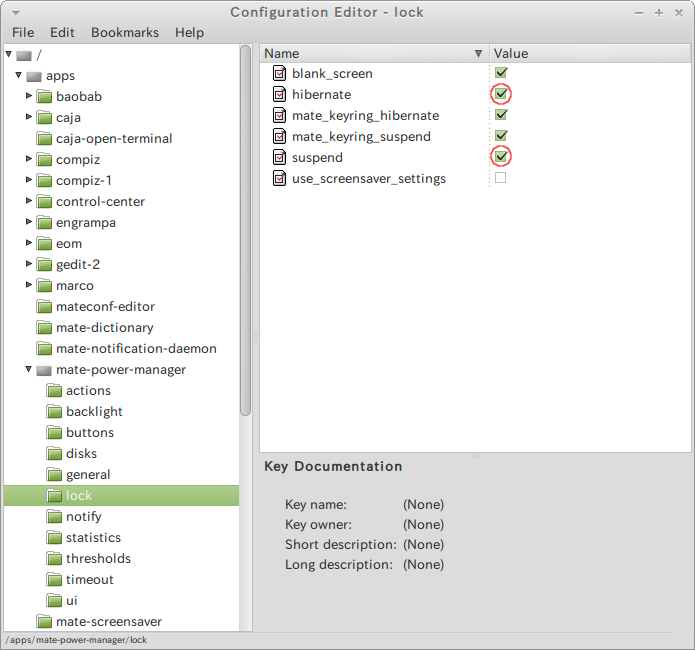 Locking screen (requiring password) when suspend and/or hibernate on Linux Mint 13 should work by setting mateconf-editor, but it doesn't work properly. So I have created a script. To start mateconf-editor, select "Menu" -> "All" -> "Configuration Editor" or type "mateconf-editor" from terminal. Then select /apps/mate-power-manager/lock/suspend and check or uncheck suspend and hibernate as you like. But it doesn't work properly. To solve this problem, create a script as as bellow. 2. Copy and paste the following script. # getXuser gets the X user belonging to the display in $displaynum. # If you want the foreground X user, use getXconsole! Then lock screen should work properly. This program is FREE, but ABSOLUTELY NO WARRANTY.